You just woke up to a huge, swollen, bright red zit on your chin. Whatever happened to pimples only being a part of puberty? Aren’t you supposed to be done with these annoying blemishes? Unfortunately, many of us experience pimples well into adulthood, and we agree that it’s totally not fair. But it’s a fact of life, and we have to deal with it somehow. Luckily, there are some tricks to get rid of pimples. We aren’t saying that they will disappear within a minute (only a magic spell could do that), but there are ways to get your pimples to diminish in a day or two. So if you did wake up to some bright red monstrosity on your face, we’ve got a simple guide to help you nip that sucker in the bud. Why Can’t I Just Pop It? We get it – it’s so, so tempting to pop that pimple on your chin, forehead, cheek, wherever. Pimple popping is so satisfying and feels like your getting all of the bad stuff out of your skin. In some situations, popping a pimple can be effective if performed properly and if done on specific types of pimples. But in general, it’s not a very good idea. 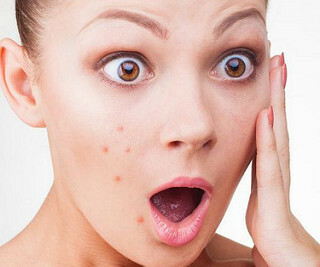 Believe it or not, acne is actually your body trying to heal itself from the bacteria blocking your pores. That little annoying bump is a sign your body is doing its job. Plus if you pop it, you’re tearing your skin and creating an open wound rather than actually curing your acne, which could eventually turn into a scar. And in some situations, it will actually make your pimple worse or cause more pimples because the bacteria and oil that was being contained within that little zit can now spread. In short, there are plenty of reasons why ​popping your pimples is bad. Instead, try to resist the urge to squeeze your blocked pores and opt for one of the following methods on how to get rid of pimples. The next time you wake up to an unwanted pimple, give one or two of these simple hacks a try to kill it without popping. You’ve probably used a spot treatment when you’ve had a sudden pimple pop up on your skin, but it probably relied on benzoyl peroxide as the primary acne-fighting agent. Don’t get us wrong, that still works well, but tea tree oil is an even better alternative to curing pimples. 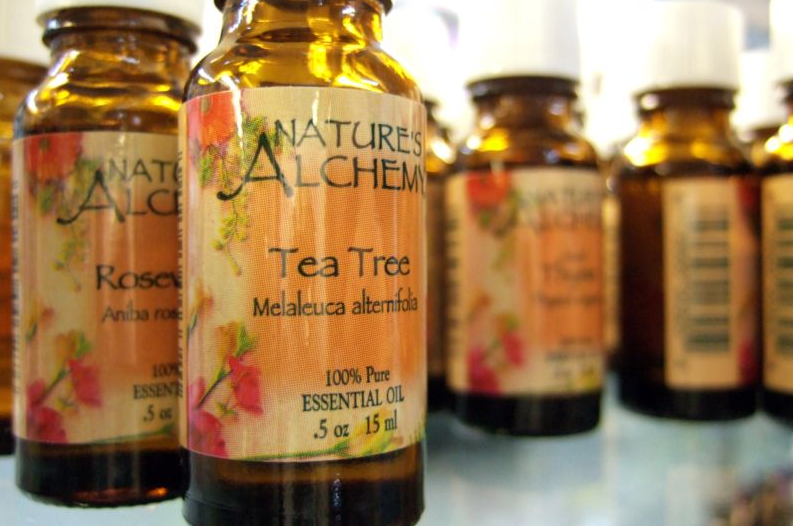 Tea tree oil is known for its ability to fight bacteria and reduce inflammation for a variety of ailments, but it specifically helps fight two types of bacteria that can cause breakouts. The oil is generally just as good or sometimes better at fighting pimples than typical spot treatments, and often results in fewer unwanted side effect like irritation, dryness and stinging or burning. However, tea tree oil is rather potent and shouldn’t be applied directly to the skin for risk of irritation and redness. Instead, you can dilute it in water and apply it to your pimple with a Q-tip, or you can look for spot treatment gels, ​serums or ​sprays formulated with tea tree oil, NOT benzoyl peroxide. Another great way to help cure that pesky pimple is to apply an ice cube to the surface. This trick often gets a nod of approval from estheticians because cold can help redness, swelling, and pain on inflamed pimples. 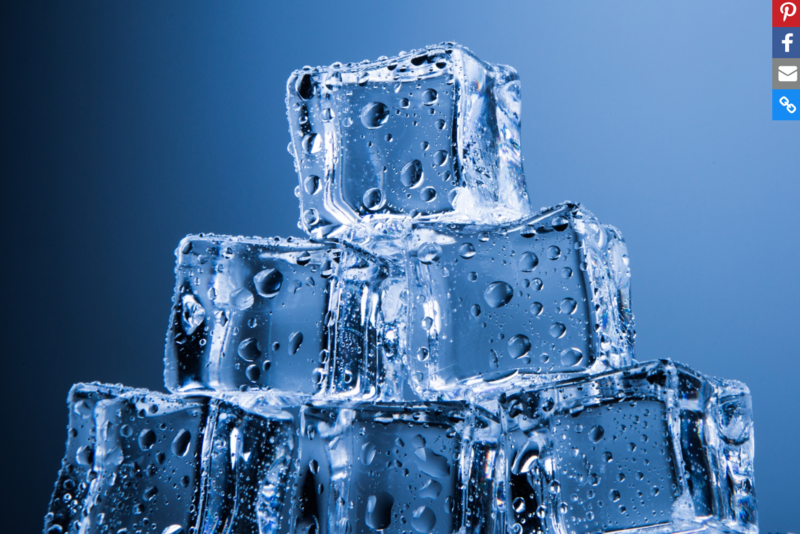 You can even apply ice to your skin when you feel a pimple forming but hasn’t yet breached the surface. However, like when you ice an injury, you never want to apply the ice directly for your skin because it can cause other types of skin damage. First, wrap it in a soft towel or cloth and then apply for about 20 or 30 seconds, with a minute or so of rest in between. You can do this as many times throughout the day to help reduce the blemish. Just don’t keep the ice on for too long or you could give your skin frostbite! Green tea is magical. The soothing drink has many beneficial properties – including helping to cure acne. 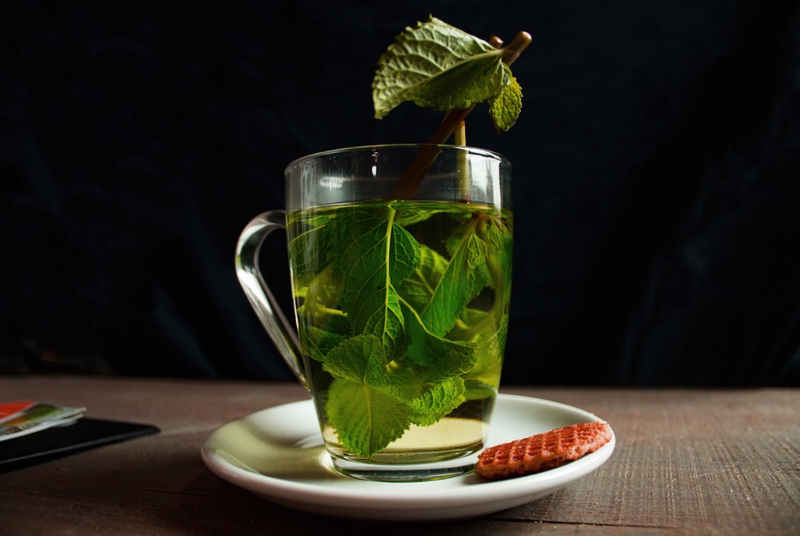 Green tea leaves are a great anti-inflammatory agent, which helps reduce the redness and swelling of pimples. You can actually just drink green tea every day to help with breakouts long term, ​like this girl. However, you can also use it to make topical treatments to treat acne on the spot. Matcha green tea is particularly great for making green tea facemasks and spot treatments because of its powdery consistency. It also has reportedly improved skin radiance, protected skin from UV rays and prevented premature signs of aging. You can combine matcha with water, Aloe Vera gel, raw honey, or organic coconut oil to make a thick, concentrated paste to apply to blemishes. Just make sure it isn’t runny, or it’ll just drip right down your face. If you don’t feel like making your own, there are plenty of matcha-based skin care products out there to try. 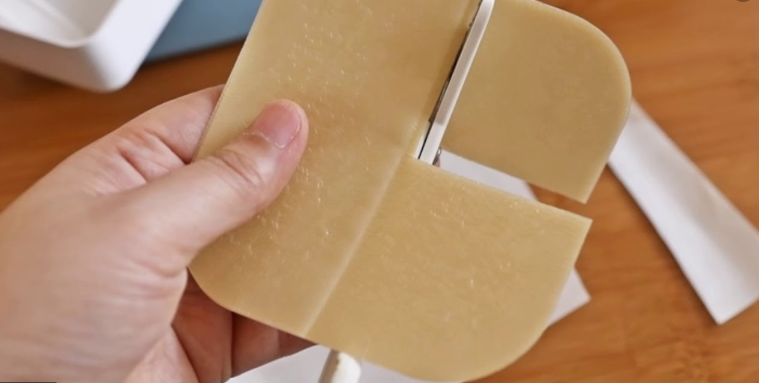 Hydrocolloid dressings are small adhesive bandages typically used on blisters to reduce swelling, but they can also be effective on stubborn pimples. These dressings merely absorb moisture from the skin and help calm the skin. So if you have a painful zit, one of these should reduce it overnight and then eliminate it within a couple of days. The bandage also absorbs oil and pus and creates a very acidic environment that does not support bacterial growth. After using one, the pimple should be reduced enough so you can easily apply concealer to camouflage it. So you do have to use more than one to fully get rid of your pimple, but it’s a relatively effortless way to reduce blemishes. If you aren’t sure which brand to use, we recommend ​these hydrocolloid acne patches in particular. It’s pretty amazing how natural ingredients can cure so many of our problems – and raw honey is no exception. This sweet treat from our bee friends is great for getting rid of pimples because it reduces redness, kills acne-causing bacteria and soothes inflammation. It can also draw out excess fluid because it has an osmotic effect on the skin. In other words, it’s going to help dry out that nasty pimple. However, we have to underscore here that you have to use RAW honey – never processed honey. You can combine raw honey with your favorite homemade facemask recipe, or with a variety of other ingredients (like turmeric, green tea, apple cider vinegar, etc.) to help you battle that blemish. In fact, it’s kind of crazy the number of ways you can use raw honey to get rid of pimples. 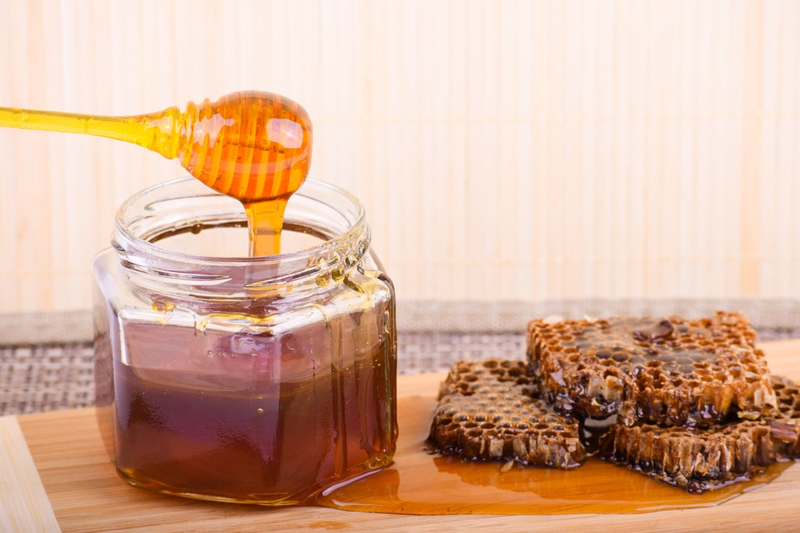 For a full list, we recommend perusing this blog post and trying out a few of these raw honey-based remedies. Pimples are such nuisances, and it’s always a bummer when a new one springs up on your face. There are many steps you can take to prevent acne from happening in the first place – like cleansing, using toners and applying moisturizers day and night to keep skin nourished, clean and healthy. However, even those who adhere to thorough skincare routines can get unwanted zits. And in those moments, you need a way to get rid of pimples. Luckily, there are plenty of ways to eliminate blemishes often with items that are right in your kitchen cupboard! 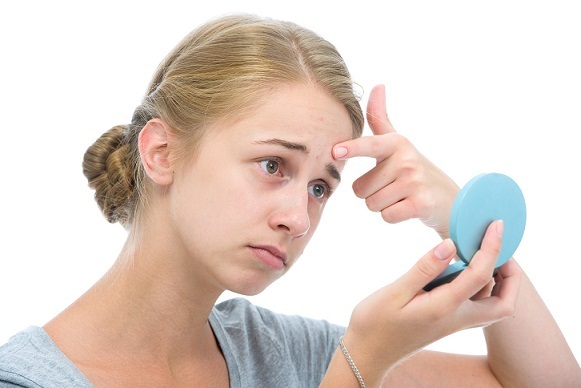 It may take a bit of trial and error to determine which of the previously mentioned methods on how to get rid of pimples will work best for your skin, but eventually, you’ll have your pimple-fighting procedure down pat. Best of all, these methods are very cost-effective since you aren’t constantly stocking up on over-the-counter treatments that do a so-so job of getting rid of pimples. So, the next time you wake up to a fat pimple on your chin – don’t panic. You’ve got all the tricks you need to get rid of it.